Bill Moody’s third Evan Hunter mystery is a finely-crafted novel in which the suspense and the jazz mix easily and naturally. Pianist and amateur sleuth Hunter, who still can’t play piano because of an injured hand, is asked by Professor Ace Buffingtoon to authenticate some newly found recordings that may or may not be lost Clifford Brown tapes. There’s also a trumpet with the initials C.B. engraved on it and a tattered postcard in the lining of the trumpet case with the closing phrase, “we love you madly,” pointing to the possibility that it might have been written to Brown by Duke Ellington. Here’s Hunter’s reaction to hearing the tapes for the first time: “I’m listening to Clifford Brown in full flight. The big, fat, buttery sound, clean lines, awesome technique and breathtaking emotion make your hair stand on end.” Moody breaks up his narrative with ‘”Interludes”-brief chapters that recreate the days leading up to the fatal 1956 car crash that claimed the lives of Brown, Richie Powell and his wife Nancy. I found these sections slightly self-conscious. Otherwise, Moody does a fine job of portraying the psychology of record collector types and the extremes they are capable of when pursuing rare items. 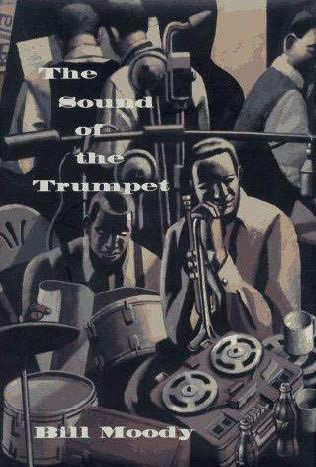 Taut and well-paced, without a false note with respect to the jazz component, The Sound of the Trumpet, will entertain armchair sleuths and jazz fans alike.